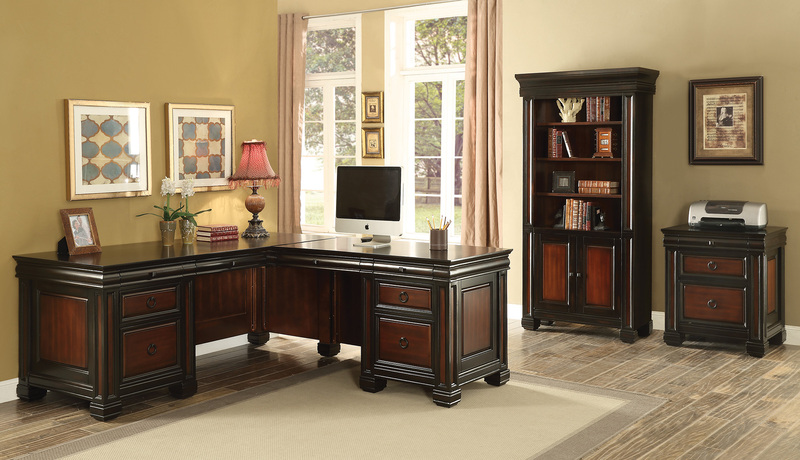 Gorgeous traditional style L-shaped desk in a two-tone espresso and red brown finish. 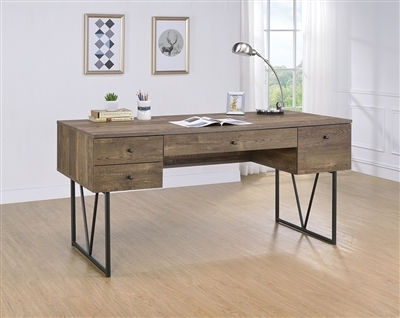 Writing desk with matching mobile file cabinet. File cabinet features built in casters with 2 drawers. 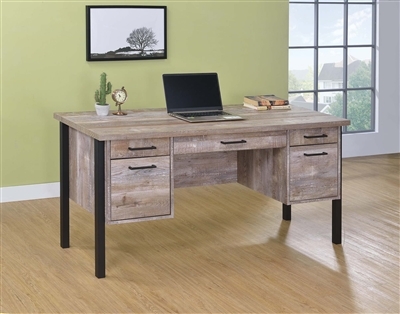 Beautiful weathered gray writing desk with chrome legs and accents and 2 drawers for storage! 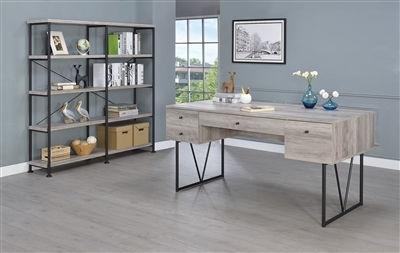 Transitional style L-Shaped desk with abundant storage finished in cappuccino with brushed nickel hardware.